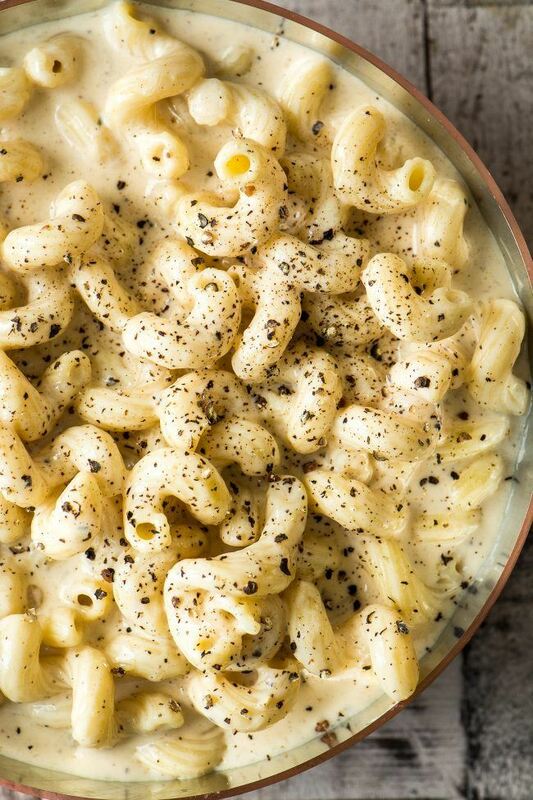 Cacio e Pepe Macaroni and Cheese marries the uber simple but powerfully flavored classic Italian pasta with everybody's favorite comfort food ~ delish! Make the breadcrumb topping first. Heat the butter in a small skillet and stir in the breadcrumbs. Cook for a minute or two, stirring constantly. Take off the heat, mix in the cheese, and set aside. Cook the pasta in plenty of salted water until just shy of al dente, I cook it 2 minutes short of what the package says. Drain and rinse with cold water so it stops cooking. Set aside. Put the evaporated milk in a large saucepan along with the cracked pepper. Bring the mixture up to a simmer, then take off the heat and add the Italian blend cheese, and the grated Parmesan. Stir until the cheese has melted and the sauce is smooth. Put it back on the heat briefly if necessary to get everything melted. Taste and add salt if needed, you probably won't need any. Add the macaroni to the cheese sauce and stir well. Turn the mixture into a single baking dish, or individual oven safe dishes. Sprinkle the breadcrumb mixture over the top, cover with foil, and bake for 20 minutes, or until hot and bubbling. Serve immediately, sprinkled with chopped parsley and more fresh cracked pepper.